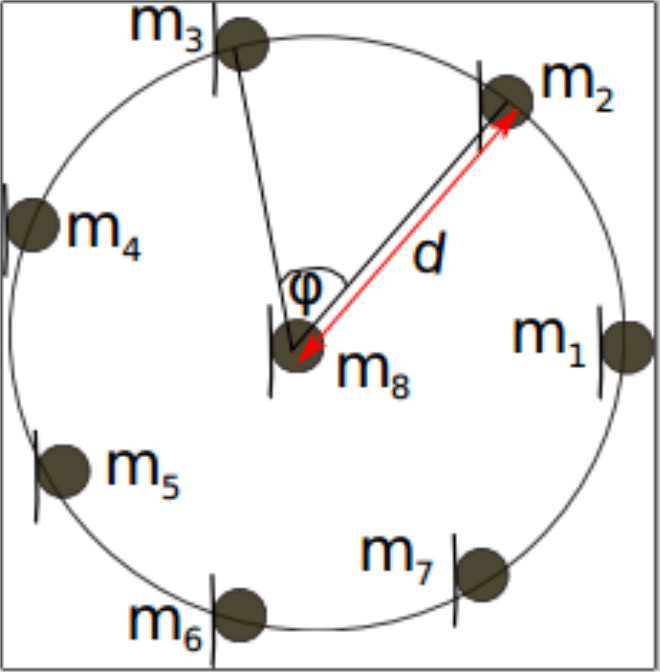 We show an approach to localizing an acoustic source using a circular microphone topology. Consider the circular array illustrated in Figure 1 below and suppose the angle of arriving signal, , and the range , are desired. Note that these two parameters, , taken together localize the source precisely. where is the time difference of arrival between the signals at microphones and .